Mission is a company that makes both roller hockey and ice hockey equipment. They started in 1995 with roller hockey equipment in Orange County California and backed by a few of the Rollerblade company corporate employees. 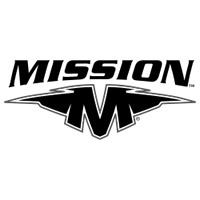 Since 2009, the Mission brand is used only for roller hockey gear with great roller hockey pants; the company's ice hockey products (Mission and Itech) were rebranded as Bauer. In 2009, the Mission ice skates were discontinued part way through the year due to Bauer purchasing Mission. - WikiPedia Thanks! Mission Roller Hockey Pants - A trusted roller hockey pant brand for the R.H.I., professional leagues and amatuers, we also provide you with a large selection of Mission roller hockey pants, Mission inline hockey pants and Mission roller hockey pants equipment for great discounted prices at HockeyPants.com.